Narcolepsy is a sleeping disorder characterized by excessive daytime sleepiness and unconsciousness episodes of sleep during the day, and many other disorders related to sleep. Narcolepsy is a disease, which is marked as a disorder of the central nervous system, and unfortunately, not much is known about this condition. Scientists are analyzing association of narcolepsy with many other genetic factors (called HLA genotype, which is the basis of every cell). In some countries, the increased incidence of narcolepsy is associated to vaccination with vaccine for pig flu. It is estimated that three million people in the world suffer from narcolepsy. It is good that there are various natural remedies for narcolepsy nowadays. Narcolepsy is often confused with depression, epilepsy, or the side effects of some medications. If you have a problem with narcolepsy, you are experiencing sudden sleep episodes that cannot be predicted. That is affecting your normal life in general. In this case, it is important to consider a variety of natural remedies for narcolepsy that may provide a natural boost to the classic therapy. Lecithin powder is one these remedies. It is a completely natural product that has a great effect on the functioning of your liver. It is also good for getting rid of the fats, because it is boosting your metabolism. When you take this natural compound, your body will feel a boost of energy and less tired and narcoleptic. In addition, it is important to take a combination of fruit rich with vitamins and magnesium. Coenzyme Q10 is another one of the recommended natural remedies for narcolepsy. That is an essential natural product, which is necessary for proper brain function. It will not help only with your narcoleptic problems, but will also increase your cognitive awareness. Additionally, it will promote attention and help you to keep your focus. 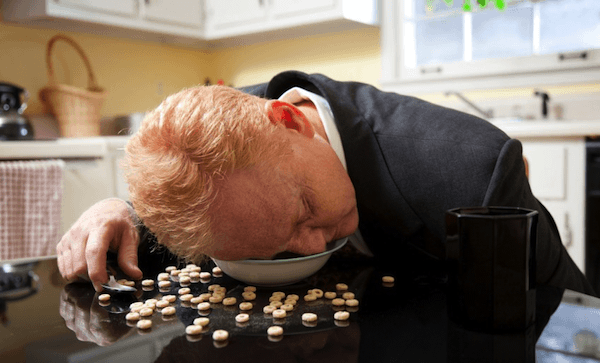 Because many people that suffer from narcolepsy also experience problems with staying focused, this compound may be a very important remedy for your health. There are still lots of other well-known natural remedies for narcolepsy. In all cases of narcolepsy, the patients are advised to first remove all the conditions that cause drowsiness, such as heat for example. The person that has problem with this condition must have regular naps, and it should play sports as much as he can. A person who suffers from narcolepsy should avoid monotonous jobs. This disorder can be healed with behavioral therapy. Behavioral therapy involves avoiding of work in shifts. In addition, avoiding alcohol and eating heavy meals is compulsory. You should respect the schedule for nighttime sleep, and conduct well distributed daily rest. Traditional Chinese medicine can also help you with this disease. Acupuncture has some registered positive effects on narcolepsy. You can also try acupressure, because it is a less painful variant of acupuncture. In addition, positive effects were registered among the patients that conducted the special diet for narcolepsy. If you tried all of this therapy and none of it worked for you, you will have to visit your doctor.